Elcona hosted a very successful Indiana State Amateur Championship, and we would like to congratulate Matt Christensen on his victory. Well played! I would also like to congratulate our staff for their efforts leading up to and during the championship. I am very proud of them and the product they produced. 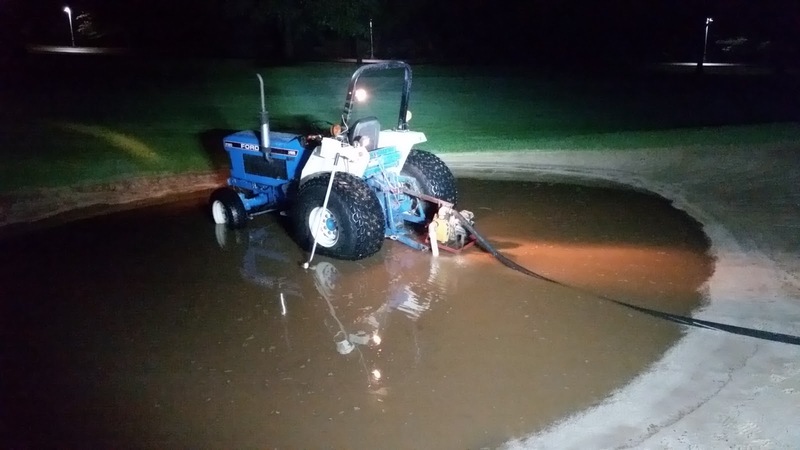 On Wednesday night, the course received 2.45″ of rain, in the span of 40 minutes. 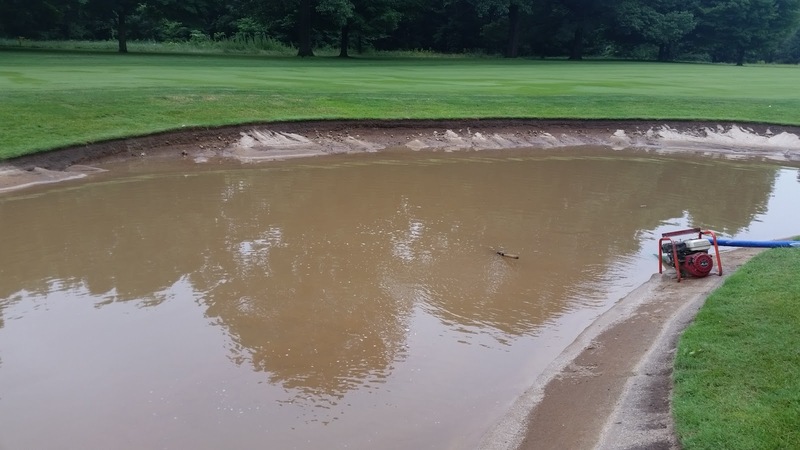 While all the playing surfaces were free of standing water when we arrived Thursday morning, all of the water had run off into the bunkers, creating washouts that were the worst I have ever seen out here. 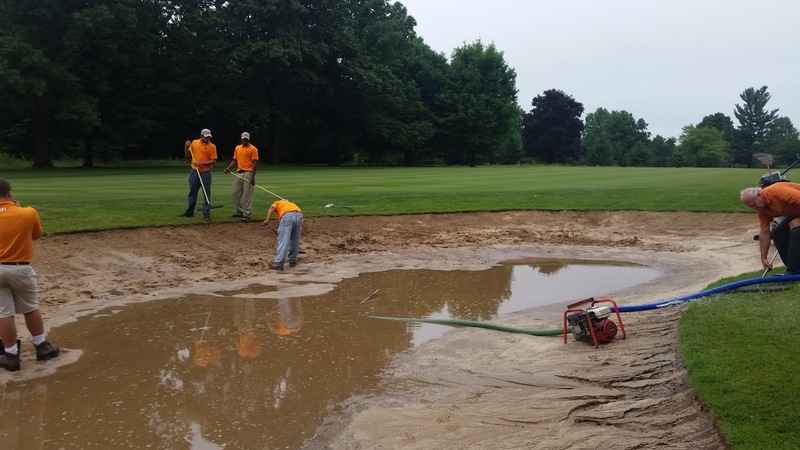 30 out of the 50 bunkers we have on course needed to be pumped out, and all of them had silt contamination. 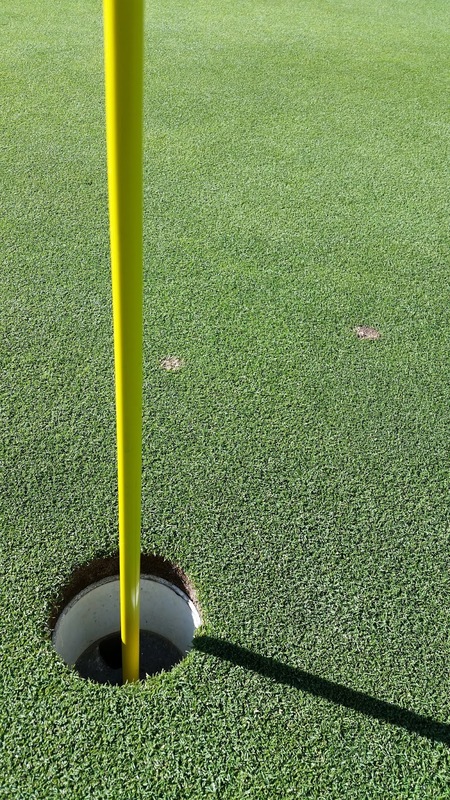 While we were able to repair them to get them playable for the final round, there is still work to do. 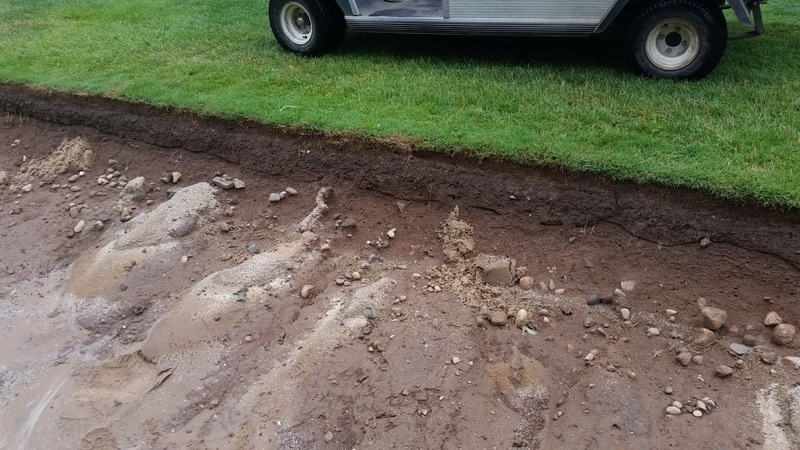 Over the next week, our staff will be removing additional contamination, checking sand depths, and sieving the rocks that washed to the surface during this rain event. Also, we will be installing new sand on a couple of the bunkers on #3, and placing the old sand in select fairway bunkers. 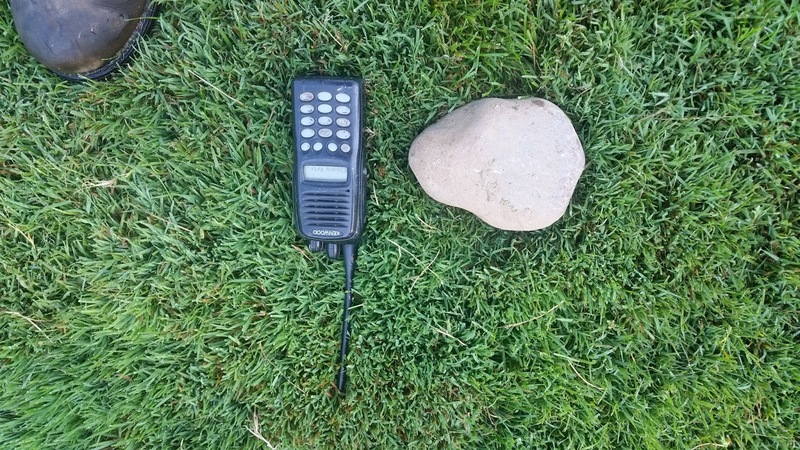 Many of you ask where all the rocks come from in the bunkers. Quick hitting, large rain events like last week’s is a major summertime reason. The sand washes away, exposing the soil below. The soil washes into the sand and mixes (contaminates) together, leaving rocks at the edges of the bunkers. Finally, the Seed to Feed garden is doing well and starting to show blooms on the squash that is planted there. Onions and zucchini are also planted there and doing great. 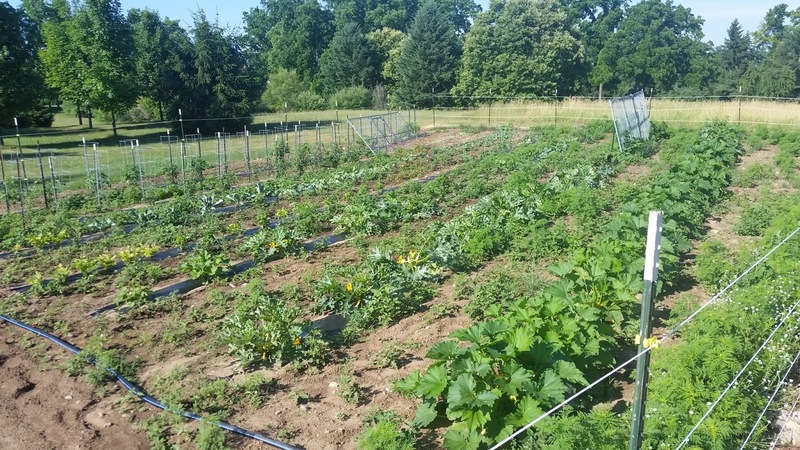 Chef Casey’s garden was relocated to the west of the Seed to Feed garden and is thriving in its new location. Here’s hoping to a successful harvest that he can share with you in the clubhouse this summer. If you have any questions, please contact me at ryan@elconacc.com. Thanks, and have a great week! 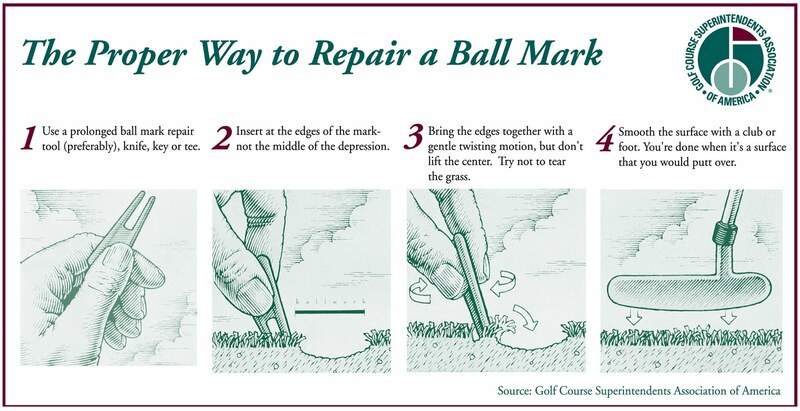 The preferred ballmark repair technique, courtesy of GCSAA. 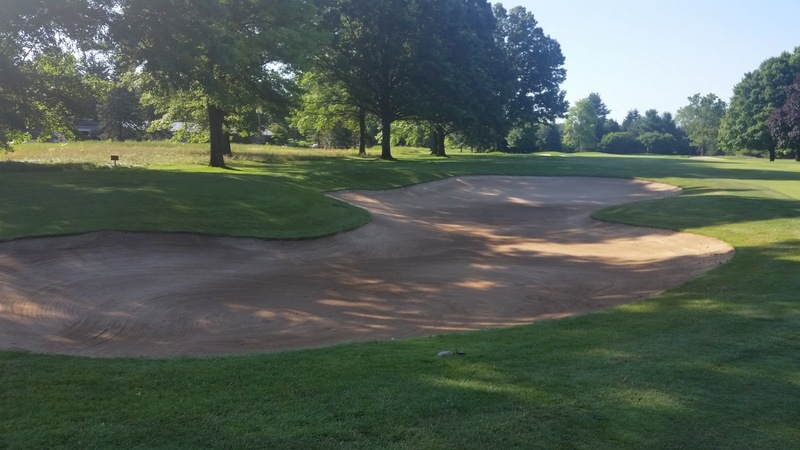 The bunker should be raked smooth of all shot divots and footprints after the shot has been played. 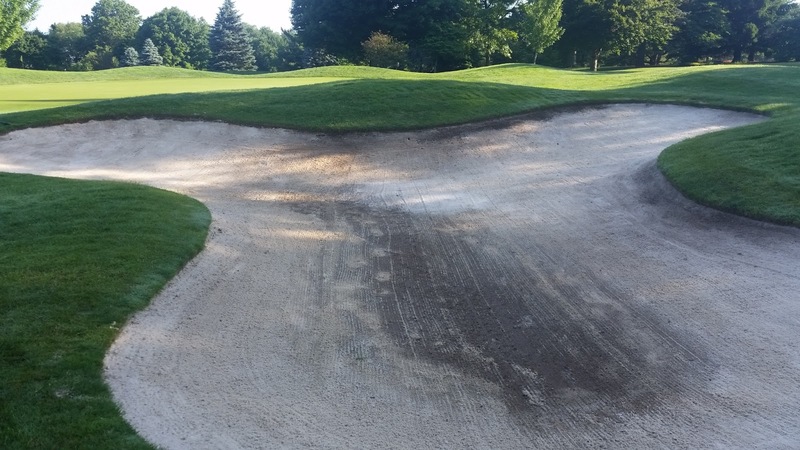 When done with the rake, place the rake outside the bunker, with the rake head pointing towards the direction of play. 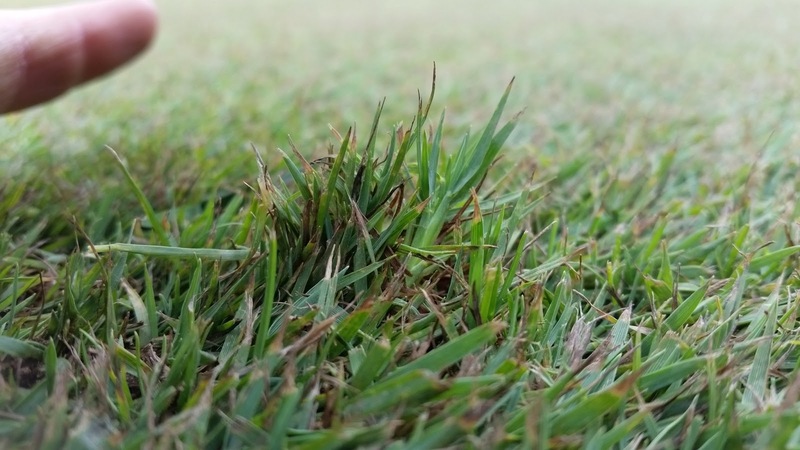 · Provide the finest quality playing surfaces with minimal inputs and a keen eye on environmental stewardship. 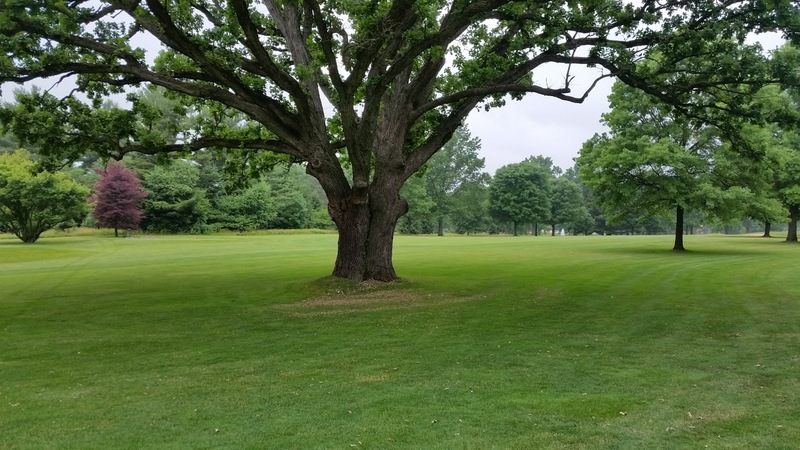 · To prepare, preserve and maintain the golf course as the major club asset and to afford the opportunity to provide enjoyment to the club’s members and guests. · To protect, understand and fulfill the golf course architect’s and club membership’s vision with a goal of a fair golf challenge for all levels of player ability. 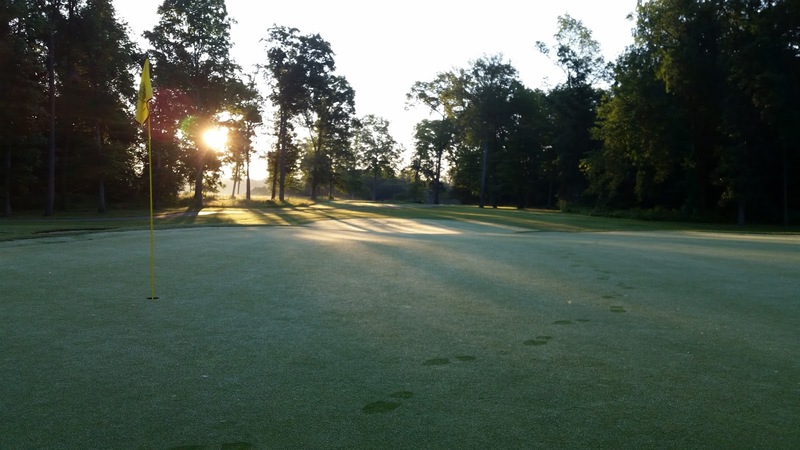 · To plan and execute programs and procedures that maintains a superior golf experience as well as enhances and protects the environment, property, and aesthetics of the club within the standards and benchmarks set within being a Certified Audubon Golf Course Sanctuary. 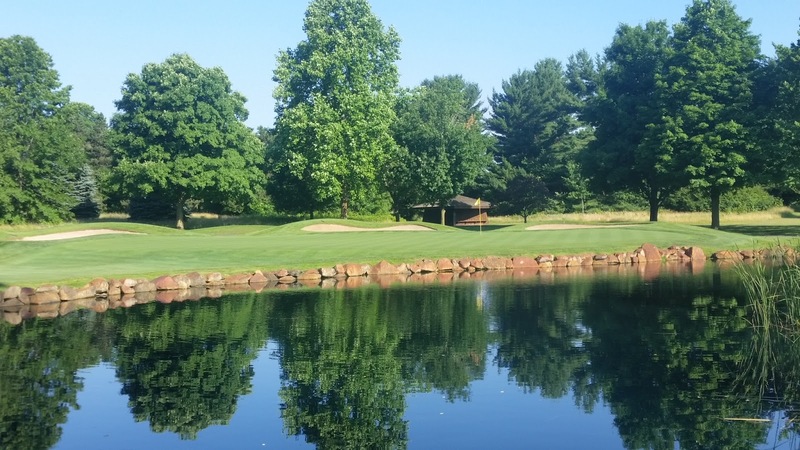 The staff has done a fantastic job in the last month getting and keeping the golf course in great condition, and are now finalizing details for next week’s hosting of the Indiana State Amateur Championship. Yesterday’s .42″ of precipitation brought our total rainfall received at Elcona to .96″ since May 17th. 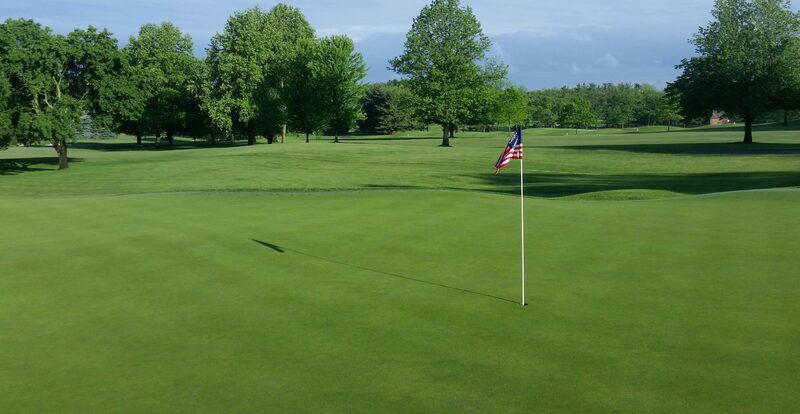 While helpful, yesterday’s rain didn’t saturate the golf course and we could use more. Something you may have noticed this year is how many trees are dropping leaves, like our Burr Oak “Gus” on #5. This is a natural response to dry conditions. When the tree senses that there is not enough water to satisfy its needs, it will drop some leaves in an attempt to conserve water for its overall long term health. The staff and I have also completed a couple small, but impactful projects in the last week. 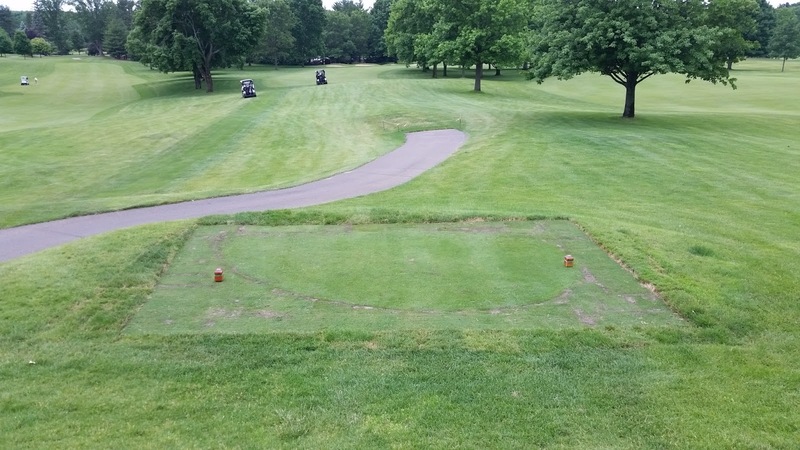 The green tee on #10 was expanded and squared off to create additional hitting area for those players, and to create a more classic looking tee. The voids will fill in over the next few weeks to complete to project. Also, the cart path ends at 9 tee and 10 tee were regraded and sodded to create a much smoother transition from asphalt to turf. 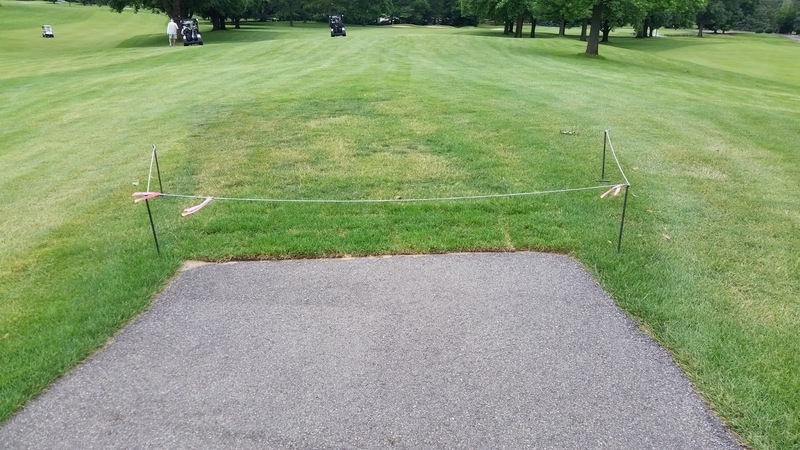 These ends will be roped off until the sod is rooted down, so please use caution and drive around those areas until they are ready for traffic. If you have any questions, please email me at ryan@elconacc.com. Thanks, and have a great rest of you week! May was a month of wide temperature extremes here at Elcona. On May 15th, we experienced snow showers and a low of 32, a rare occurrence for that time of year. Up until last week, May was on track to be the 2nd coldest on record, and still is in the top 10 coldest May’s even with the heat the last few days. Rain wise, the beginning of the month was plentiful, but since the 17th we have received only .01″ of precipitation here at Elcona. In a matter of 6 days, we went from snow showers to dragging hoses on dry areas! 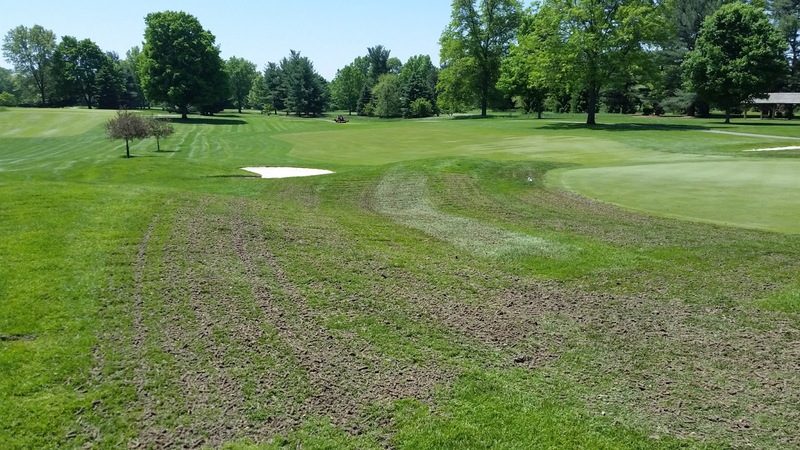 While the dry conditions have set up firm playability on the course, there are some areas that have struggled. 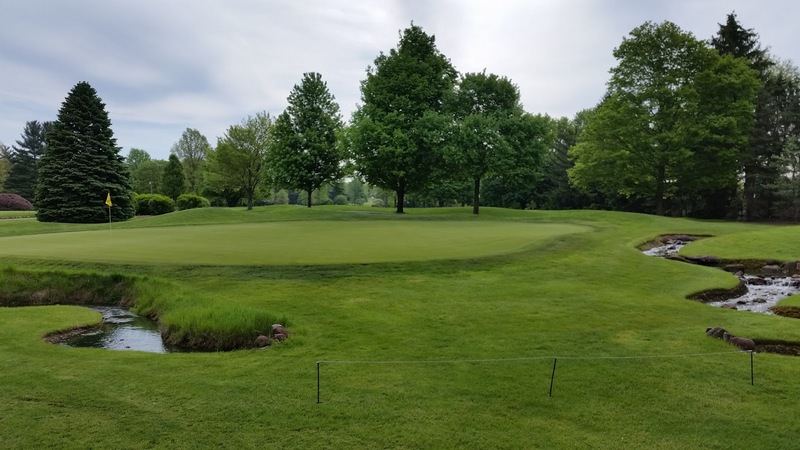 These areas saw a noticeable increase in traffic wear from our early warm weather and course opening in March, with little to no warm weather to aid in growth and recovery. Some of the green surrounds have noticeable rippling and/or uneven lies in and around the turf. This is a two fold issue, coming from weather and machinery. The machinery that we used is a rotary bladed unit, and in many areas there is only one direction of traffic that the operator can go to efficiently mow this turf, causing the machine to traverse in the same direction over and over, causing the rear rollers on the decks to hit in the same spots and an uneven turf growth habit in areas. The colder weather of April and May stunted any growth of the grass in the lower areas to fill in and reduce the unevenness of lies experienced. We are tackling this issue in a couple different ways. 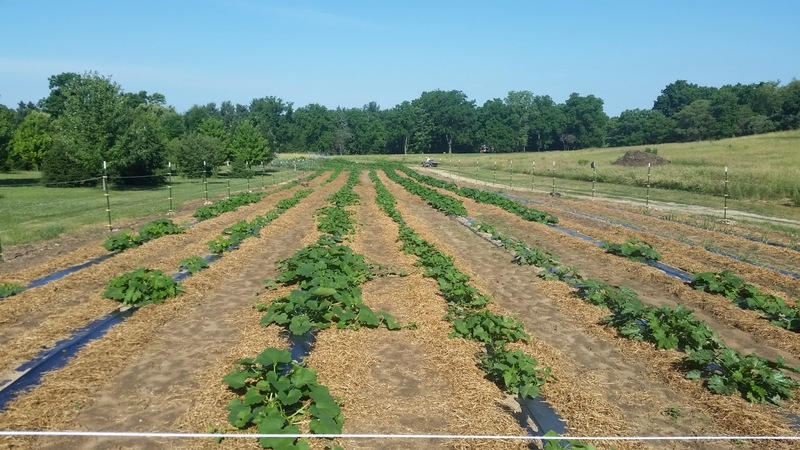 First, fertility has been increased to promote growth to help fill in the lower areas, and will be higher throughout the year than we have done in the past to help sustain more consistent conditions through the year. We will also be changing mowing patterns on 6 green surrounds each week to differentiate traffic and wear on these areas. The mower will still traverse over tighter areas in the same direction, but larger areas should see improvement. Finally, as the picture on the right depicts, we aerified #11 green surround last week, and while it did not provide immediate results at removing the unevenness, the process did relieve compaction and traffic wear, and will provide fresh oxygen and better channels for rooting and water percolation. In late September, we will be aerifying all surrounds to promote the health of these areas. Close up of 17 fairway turf. The fairways are another area that have struggled with May’s highs and lows. 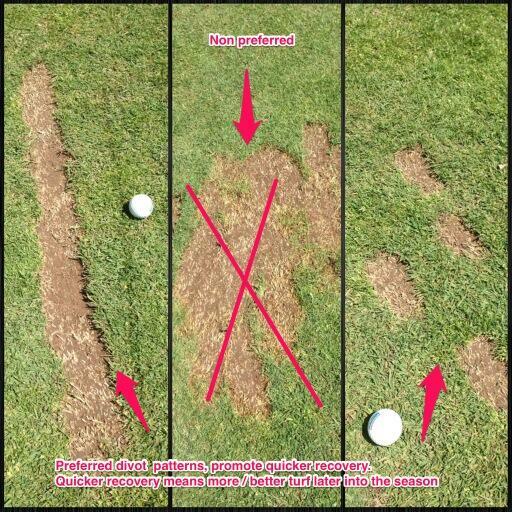 The turf in these areas is composed of Penncross, an older variety of bentgrass that does not like wide temperature swings. With the frosts and freezes that May brought, the growth habit of these areas has slowed more considerably than I would like, producing tighter lies and an off color. This off color is from older leaves dying and the tips of live plants browning from the frosts and freezes. The rest of the plant is healthy and growing, albeit slowly. 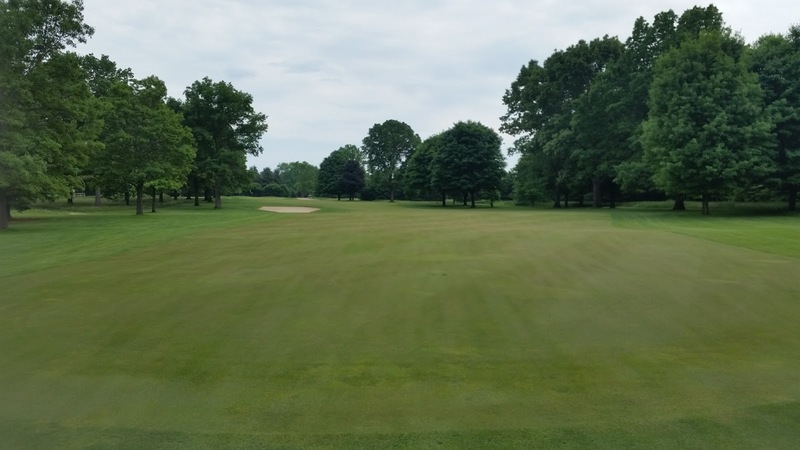 We have increased fertility on fairways to promote a light increase in growth, and will be experimenting with brushes to stand the plant up and remove more of these brown tips to remove the off color portions. A verticut may be needed to remove more of these off color plants. If you have any questions, please contact me at ryan@elconacc.com. Have a great rest of your week!